The Pound Sterling New Zealand Dollar (GBP/NZD) exchange rate slipped this morning, and the pairing is currently trading at an inter-bank rate of NZ$1.9275. The Pound continues to slide as the Brexit process remains in deadlock as the House of Commons struggles to come to an agreement on the next steps. Meanwhile, data released at the start of Thursday’s session suggests that the New Zealand economy is slowing. ANZ’s Business Outlook Survey showed that business confidence in New Zealand fell seven points in the month, with 37% of respondents reporting that they expected business conditions to deteriorate this year. ANZ Chief Economist Sharon Zollner said the New Zealand economy is ‘delicately poised’ although data such as business confidence suggests the economy is ‘running out of steam quite rapidly’. ‘And now we have a cloud hanging over the residential construction outlook despite ongoing population growth, possibly related to credit availability and the fact that Auckland house prices are now going (modestly) backwards. The Pound (GBP) fell against the New Zealand Dollar (NZD) on Thursday morning as Brexit pessimism continued to loom over the UK currency. Prime Minister Theresa May is to make further attempts persuade MPs to back her Brexit withdrawal agreement as she still lacks the support of the Democratic Unionist Party (DUP). Yesterday, May promised to resign if her deal was approved which brought some MPs on side including Boris Johnson, ex-Foreign Secretary. Meanwhile, after seizing control of the Brexit process from parliament, the House of Commons were not able to come up with a Brexit Consensus following last night’s indicative votes. All eight options were rejected my MPs, although the two that received the largest number of votes in favour were for a second referendum and for the customs union. Reports suggested that China has made unprecedented proposals in talks with the United States on a wide number of issues, which likely buoyed the risk-sensitive New Zealand Dollar (NZD). US officials said that progress has been made in all areas of discussion between the two countries, even the slightly more sensitive issue of forced technology transfers. Pound New Zealand Dollar Outlook: Will the GBP/NZD Exchange Rate Dive on NZ Building Permits? 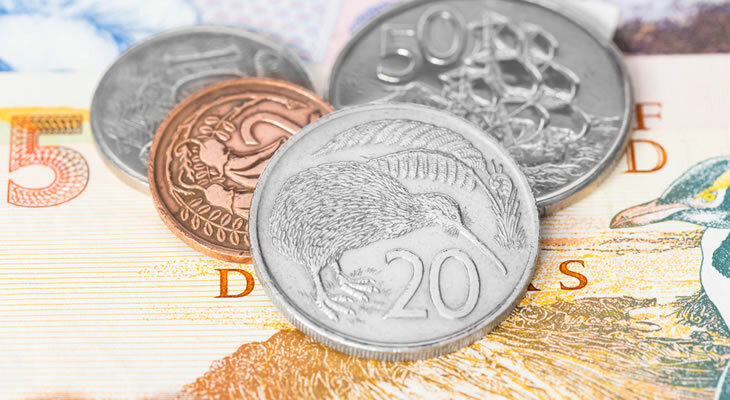 Looking ahead to this evening, the New Zealand Dollar (NZD) is likely to rise against Sterling (GBP) following the release of February’s New Zealand building permits. If building permits jump as they did the previous month, it could buoy the ‘Kiwi’. At the start of Friday’s session, the Pound could fall further after the release of March’s UK GfK consumer confidence figure. If consumer confidence slides further from -13 to -14 as forecast the Pound New Zealand Dollar (GBP/NZD) exchange rate could slide.